Out of at least 12 patients with kidney failure that Kamuzu Central Hospital (KCH) recruits every month, six come from Dedza alone, a development which has worried stakeholders in the district. KCH, situated in Malawi’s Capital Lilongwe, is a referral hospital serving districts in the country’s Central Region. The bad news from Dedza was revealed during the commemoration of World Kidney Day held Thursday at Umbwi Secondary School by KCH and its cooperating partners. In fact, the commemoration was held in Dedza because of those scaring statistics from the district and stakeholders took advantage of the event to raise more awareness among residents about how they can prevent kidney failure. According to health experts, the disease is, among others, caused by the damage inflicted to the kidneys by sicknesses such as high blood pressure, diabetes and severe malaria. However, stakeholders gave mixed views on what may be leading to increased cases of kidney failure in Dedza with Senior Chief Kachere saying it is due to excessive consumption of alcohol and smocking. “Please, reduce uptake of alcohol and stop smoking,” he pleaded with the gathering during the ceremony. On the other hand, District Medical Officer, Dr Misha Stande, alleged that it is because people drink an influx of traditional medicine from neighbouring Mozambique. According to her, the unregulated dosage of traditional medicine in the human body releases alot of toxic matter that overworks the kidneys and eventually leading to kidney failure. “However, we are civic educating people through our Out Patient Department and Non Communicable Diseases sections on how they can stay healthy. We conduct regular tests for NCDs which also enables us to detect early enough if there is any kidney injury,” explained Stande. Taking his turn, Dr Charles Munthali from KCH, acknowledged the problem of Kidney failure in Malawi, describing it as severe. “The 12 referral cases we receive in a month are a few the district hospitals can manage to diagnise using the limited equipment and resources they have. So many people remain undiagnised and continue to suffer ignorantly,” observed Munthali. He added, “Even at KCH we do not have enough Dialysis Machines that we use for treating patients with kidney failure. Of late, we have been prioritising those that are critically ill”. Munthali thinks there should be mass sensitisation about kidney failure in the country to prevent the disease and emphasized that if the disease reaches chronic level in a person, it is very expensive to treat. “Actually, k4 million is required for a patient with kidney failure to undergo kidney dialysis treatment for one year,” he said. And Mayamiko Khomba, a Renal Nurse at KCH, concurred with the other speakers on prevention of kidney failure, adding that people need to eat healthy. “A balanced diet panctuated with a lot of vegetables and fruits is very important. People must also consider drinking at least two litres of water per day and reduce salt uptake,” she said. This was the 13th year Malawi was joining the rest of the World in commemorating World Kidney Day which falls on 14 March and the theme was; Kidney Health for everyone, everywhere. Speaking during the announcement of the NAIIS result on Thursday, the Director General of the National Agency for the Control of AIDs (NACA), Sani Aliyu, said about 1.9 million Nigerians are currently living with HIV. The event was held at the Banquet Hall of the State House in Abuja. In his response to the prevalence rate in the state, the minister of Health, Isaac Adewole, said this is not the time to start blaming states. “For the south-south, (it) is Akwa-Ibom that has the highest prevalence, and, for the North Central, it is still Benue State. “But then we should also look at the quality of interventions we have had. Benue has one of the largest interventions programme in the country, so that is also expected to yield results. “It would have been frustrating if with those interventions, we now have 10 per cent in Benue.” he said. He noted that he was quite happy about the downward trend in Benue State. In his goodwill message, David Young, Charge de Affairs, Embassy of the United States of America, said “Beyond the data, the survey has proved the capacity of Nigerians working together in solidarity with one another to rise and resolve challenges regarding the health and well being of their brothers and sisters. “The US government is proud to support Nigeria in conducting the NAIIS survey,” he said. The Country Director, Center for Disease Control Nigeria (CDC), Mahesh Swaminathan said the results will help the government improve it efforts in the fight against the virus. “The encouraging results presented today, along with ongoing monitoring and evaluation data will help the Government of Nigeria to intensify efforts in the fight against HIV/AIDs to achieve epidemic control. “CDC will continue to work alongside our Nigerian brothers and sisters in this fight.” he said. Antananarivo — In a healthcare centre in the Madagascan capital of Antananarivo nine-year-old Faneva inches his arm forward. The nurse disinfects his skin before inserting the needle. A few seconds later, it’s all over. The young boy smiles in relief. This is the front line of efforts to combat Madagascar’s deadliest measles outbreak in living memory. The virus has killed more than 1,100 people – mostly children – since September, and infected nearly 100,000 more all across this large island nation. The outbreak is raging, at least in part, due to low immunisation rates. But unlike in more developed countries where parents refuse to vaccinate their children because of so-called “vaccine hesitancy”, the challenge in Madagascar is one of affordability and accessibility. Despite measures put in place to tackle the spread of measles, the response in Madagascar has been complicated by the high cost and logistical challenge of transporting the vaccine to health centres in remote districts, and storing it long enough at the required low temperature. Madagascar is among Africa’s poorest countries; 75 percent of its population of 26 million live on less than $2 per day. It faces a host of humanitarian challenges, including El Niño-induced droughts that fuel food insecurity; cyclones that displace tens of thousands annually; and severe health problems such as seasonal plague, chronic malnutrition, and now measles. Faneva received his first dose of the measles vaccine when he was just nine months old, his father, Fanilo Andrianarivony, told IRIN. But his school now requires everyone who is nine years old or younger to be vaccinated with a second dose. In Faneva’s class at school, 15 pupils caught the virus between November and December, despite medical reports indicating they had been vaccinated as babies, their teacher said. Although a double dose of the vaccine – one at six to eight months, and a booster at least a month later – is recommended by international health bodies, the second dose is not yet part of the routine immunisation schedule recommended by Madagascar’s health ministry. As a result, very few parents take their children to receive a booster dose. Even with the double dose, there is still a 15 percent risk of contagion, Manhes said, explaining that “for individual coverage to work, you need mass immunity, up to 95 percent”. Reaching the required level of immunity is a huge challenge in Madagascar, where measles vaccination coverage – children who have received at least one dose of the vaccine – is barely 60 percent, according to the World Health Organisation. This low coverage rate has been one of the main drivers of the current outbreak, the WHO said. Poor health infrastructure and low levels of awareness are factors that have led to an increase in measles cases globally, not just in Madagascar, according to UNICEF. At the same time, complacency and vaccine hesitancy have caused the virus to re-emerge and spread in more developed countries that had been declared measles-free. “Global cases of measles are surging to alarmingly high levels,” UNICEF warned this month, with 10 countries accounting for over 74 percent of the total increase in 2018. In Madagascar, UNICEF, the WHO, and the health ministry launched an immunisation campaign to target all 114 districts in the first quarter of this year. More than two million children, including Faneva, were immunised in January, and 1.4 million children were vaccinated in February. But the campaigns only reached 25 and 22 districts respectively, meaning another 67 districts still have to wait until the end of March or the beginning of April. “We are asking the authorities to send vaccines as quickly as possible to our region,” a nurse working in a health centre in one of the yet-to-be-reached southern districts told IRIN, preferring her name not be used. The nurse said that in districts like hers the lack of vaccines means they can only vaccinate children under nine months old with the first routine dose. “It’s heartbreaking to see the desperation of parents, but we can’t do anything until [more] vaccines arrive,” she said. To immunise all the nearly eight million children from nine months to nine years old, Madagascar needed $7 million; however, all the necessary funds were only collected this month. And even now, financial and logistical obstacles remain. “Ideally, a single national campaign at the same time for all the districts would have been perfect to interrupt the outbreak,” UNICEF’s Manhes said. Sourcing the number of vaccines needed was a major challenge, and getting eight million doses at one time was “very complicated”, Manhes said. “Very few laboratories are producing the measles vaccine, and orders are still planned five years in advance,” he explained. UNICEF had to negotiate with countries like the Democratic Republic of Congo, Uganda, and Yemen to get all the vaccines it needed. Even when stocks are available, disseminating the vaccines and syringes across Madagascar is no easy task due to the vast size of the island – roughly the same size as France or Spain but with notoriously tricky terrain and poor roads, especially in the more remote regions. In mid-February, the WHO said there was a gap of $3 million in the budget for the third and final vaccination campaign. But at the beginning of March, the Malagasy authorities, with the support of their technical and financial partners, said it would now be possible. On 5 March, UNICEF and the government signed an agreement to supply 500 health centres in remote parts of the country with $4.5 million worth of solar refrigerators, allowing them to store the vaccines and cut back on shortages in areas where there is no electricity. “Health centres will be able to offer daily immunisation services when they are equipped with solar refrigerators,” said Julio Rakotonirina, a professor of epidemiology who is Madagascar’s minister of public health. For Manhes, these broader failings are driving the upsurge in epidemics like the current one. “It is important that Madagascar adopts a sustainable and strengthened health system,” he said. Other health and humanitarian concerns in Madagascar also risk worsening the effects of the epidemic. With 47 percent of Malagasy children under age five facing chronic malnutrition, there are risks of serious complications and death if they contract measles, the UN’s emergency aid coordination body, OCHA, said. “Malnutrition that strikes one child in two, also makes the measles bed in Madagascar,” said the WHO representative in Madagascar, Dr. Charlotte Faty Ndiaye. While families with children unprotected from the virus live in fear, others, like the parents of four-year-old Rado, mourn the outbreak’s latest victims. “He had coughed a lot and had a very high fever,” Rado’s mother, Haingo Nomenjanahary, recalled of the days when her son first became ill.
She took him to the health centre only when rashes developed on his face and body. “We were rushed to the hospital, but the doctors did not save my son,” she said. Rado’s one-year-old sister, Ravaka, is luckier than her brother. Nomenjanahary now knows that to protect her youngest daughter she has to take her to be vaccinated, and a few weeks after her son died, she did just that. Ravaka received her first dose of the measles vaccine at 11 months. “I hope that now she is immune to this danger,” her mother said. “And if God still gives me children, I’ll take them to the basic health centre to be vaccinated,” she promised. If you go scuba-diving and come up to the surface too fast, you might need Hyperbaric Oxygen Therapy. But, experts warn, it can’t treat cancer, stroke, Alzheimer’s disease, autism, or arthritis, as some quack outfits are claiming. Hyperbaric Oxygen Therapy (HBOT) is generally known as the treatment to cure “the bends” (decompression sickness) in underwater divers. The therapy uses high concentrations of oxygen at high pressure, and has been approved for use in 14 conditions including decompression sickness, gas gangrene (caused by a bacterial infection and accompanied by an odorous gas), necrotising soft tissue wounds (as with diabetic foot wounds caused by severe bacterial infection) and thermal burns amongst others. But practitioners of so-called mild hyperbaric oxygen therapy (mHBOT) are fraudulently cashing in on the science that supports medically-approved HBOT. Treatment is administered in a special chamber where patients inhale 100% percent medical oxygen at high pressure – twice the average atmospheric pressure exerted at sea level. This increases the amount of oxygen in the blood, which “has direct and indirect therapeutic medical effects which promote the healing process,” says Roberts. But this applies only to the conditions for which it is indicated. mHBOT is usually administered in an inflatable soft chamber with air or air mixed with added oxygen. These chambers – prohibited by the American Food and Drug Administration for use other than in acute mountain sickness – often do not comply with South African safety regulations. Fabric chambers are not designed to be used with 100% oxygen. Oxygen in high concentrations increases the risk of fire. Cosmetics such as deodorant, hairspray and makeup could easily combust under high oxygen content. “Our team specifically investigates all these things, and we know exactly what the safety rules and regulations are according to international standards. Some mHBOT practitioners and marketers do not even have a fire extinguisher on site, so how can they advise on the correct fire extinguishing systems when they sell these chambers to the public as home devices?” says Meintjes. The increased atmospheric pressure in the hyperbaric chamber is another safety concern and a serious risk. If the soft chamber inadvertently deflates, as in the event of an unexpected power shortage, this could cause serious injury to a patient’s eardrums or lungs. But in spite of warnings and recommendations from HBOT experts and bodies such as SAUHMA, the use of mHBOT devices is on the rise. The South African company O2xygenate claims mHBOT can be used for a string of indications including cancer, stroke, Parkinson’s disease, Alzheimer’s disease, autism, arthritis, multiple sclerosis and cerebral palsy amongst others – none of which is approved for treatment with HBOT or mHBOT. O2xygenate also advertises its services for diabetic ulcers and burns – conditions indicated as treatable with HBOT only. Treatment costs range from R500 an hour to R8,000 for 20 treatments. The company also sells soft hyperbaric chambers for home use. The company SpecialKids advertises mild hyperbaric treatment through O2xygenate for off-label conditions in children. Its website provides a direct link to the O2xygenate website. Former chiropractor Malcolm Hooper, who owned the hyperbaric treatment clinic Oxymed Australia, is to stand trial for unsafe practice following the death of a former client who was undergoing treatment for multiple sclerosis at Hooper’s facility. Weir has lodged a complaint with the South African Health Products Regulatory Authority (SAHPRA) about the misuse of mHBOT. The matter has been referred to the Deputy Director of Medical Devices at SAHPRA, Andrea Julsing. “SAHPRA should be made aware of the false claims made by the charlatans who exploit patients for financial gain,” says Weir. IN what certainly represents a major breakthrough for people suffering from kidney complications, the government is expected to receive, tomorrow, 62 new kidney dialysis machines from the government of Saudi Arabia that will be distributed to zonal and regional hospitals countrywide. Currently, the country has 42 machines, according to the Deputy Minister for Health, Community Development, Gender, Elderly and Children, Dr Faustine Ndugulile. This means, that, in all, the country will have 104 machines at the various health facilities. Dialysis machines are used to filter a patient’s blood to remove excess water and waste products when the kidneys are damaged, dysfunctional, or missing. The dialysis machine represents an artificial kidney. Speaking at a news conference yesterday, Dr Ndugulile said the government was putting all measures in place for reducing the cost of treating people suffering from kidney complications. He was speaking to remind Tanzanians on the importance of frequent health check-ups as the country joined the rest of the world to commemorate World Kidney Day (WKD), which is marked on March 14 every year. This year’s theme is ‘Kidney Health for Everyone Everywhere’. Despite the growing burden of kidney diseases worldwide, kidney health disparity and inequity are still widespread. Globally, chronic kidney diseases (CKD) cause at least 2.4 million deaths per year and are now the sixth fastest growing cause of death. According to Dr Onesmo Kisanga, a kidney specialist at the Muhimbili National Hospital (MNH), a team of experts is currently conducting a study to establish the number of people suffering from kidney complications in the country. Transplantation is considered the most cost-effective treatment of CKD. However, it has high set up costs with regards to infrastructure and requires highly specialised teams, availability of organ donors and cannot be done without dialysis backup. According to Dr Ndugulile, a single dialysis in Tanzania costs 250,000/-, meaning that a patient can spend up to 1m/- per week. However, he explained that the country had so far reduced referrals for India to treat kidney complications. Initially, a person who was referred to India for kidney transplantation spent between 80m/- and 100m/-, but now a patient who receives the same treatment at MNH or Benjamin Mkapa Hospital (BMH) which are currently offering kidney transplantation surgery, spends only 21m/-. “Until now, 42 patients have been successfully operated, out of which 38 were treated at MNH and four others were operated at BMH; if they were to be referred to India, 4.2bn/- would have been spent but the total cost in Tanzania was only 800m/-,” he said. This means that, by carrying out transplantation at local medical facilities, the government saved over 3bn/-. According to Dr Kisanga, the country has only 14 kidney specialists and that five others are expected to be deployed in the country after accomplishing their studies. 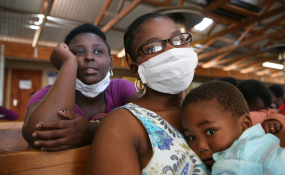 But a study conducted in South Africa from January 2018 to February 2019 by the Aurum Institute and partners shows that administering dolutegravir for eight weeks and subsequently adding three-month of two first-line TB medicines – rifapentine and isoniazid (3HP) – can safely be used to treat TB in people with HIV. Researchers presented the findings of the study – which involved 60 HIV-positive adults in South Africa and has not yet been published in a journal – at the Conference on Retroviruses and Opportunistic Infections in Seattle, United States last week (6 March). Kizito Lubano, a clinical researcher at the Kenya Medical Research Institute and an honorary lecturer at Kenya-based University of Nairobi School of Medicine, agrees with the study’s findings but says that the small sample size of 60 is not enough for making recommendations for large-scale use. “There is a need for comprehensive multi-centre phases three and four trials with larger sample sizes to have sufficient confidence to recommend for routine use,” he tells SciDev.Net. Nairobi — Environmental damage caused by man-made activities is having a devastating toll on human health, the United Nations said on Wednesday, warning of millions of premature deaths due to air and water pollution by 2050 if action was not taken. Seen as the most comprehensive and rigorous assessment on the state of the environment, the U.N.’s Global Environment Outlook said human health – was in “dire straits” due to unsustainable development and poor environmental protection. Air pollution from vehicles and industry as well as burning fuels such as wood, coal and kerosene for cooking, heating and lighting was resulting in around 7 million deaths annually, said the report – costing around $5 trillion in welfare losses. Water quality has worsened due to increased organic and chemical pollutants such as plastic, pathogens, heavy metals and pesticides. Almost 1.5 million people die annually due to diseases related to drinking pathogen-polluted water, it said. “Our key message is that a healthy planet enables healthy human life – and that the planet is becoming increasingly unhealthy and this is impacting our health,” said Joyeeta Gupta, one of the leading scientists who worked on the report. The 740-page report – compiled over six years by 250 scientists from 70 nations – said human activities could endanger the “ecological foundations of society” and called for unprecedented action. It was released at the U.N. Environment Assembly, a five-day summit where environment ministers plan to commit to creating a more sustainable planet, from reducing food waste and plastic pollution to developing technologies to combat climate change. U.N. officials said the health and prosperity of humanity was directly tied to the state of the environment and there was a need to transform to more sustainable models of development. “The Global Environment Outlook has a very clear message: we cannot transform the world by tweaking around the edges,” said Joyce Msuya, acting executive director of U.N. Environment. The agriculture sector, for example, is not only a significant contributor of greenhouse gas emissions, she said – one-third of food produced globally was being wasted, yet demand for food was rising due to population growth. While production of renewable sources of energy was at an all-time high, two-thirds of the world’s electricity still came from fossil fuels, said Msuya. “It’s time to value waste and discard our current model of economic growth and the mountains of waste that have come to characterise our urban spaces and waterways,” she said. The report provided a slew of suggestions to help policymakers tackle challenges from reducing carbon emissions and curbing plastic pollution to tackling food waste. Adopting less meat-intensive diets and reducing food waste, for example, would reduce the need to increase food production by 50 percent to feed an estimated 10 billion people on the planet in 2050, said the report. Experts said it was time to end the “grow now, clean up after” model of economic development – and there were growing signs that people are asking for such a transformation. It was now time for their governments to listen, they added. “We know what the problematic human behaviours are that are affecting our environment – it’s the way we eat, it’s the way we get around, it’s the energy we use to power our homes and it’s how we build our homes and all the infrastructure that goes with that,” said Paul Ekins, who also worked on the report.